Award winning producer/actress Demetria Karongah: Thorns (2009), (The In Laws 2011) has produced another moving short drama entitled Never Again which is a short adaptation from Betty Makoni”s biography Never Again. The 10 minute film will be screened for the first time on the 13th of April the same day the book is being officially launched in London. The film touches on one of the most touching chapters of the book when Betty’s mother suffered physical and emotional abuse to her death at the hands of her abusive husband. 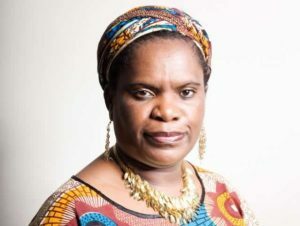 The film serves as a contribution to the cause that Betty Makoni has been championing for many years and it brings the visual element to her story. Shot on the 5D Mark 3 and set in the UK the piece is meant to provoke thought on domestic abuse of women across the geographical divide. “Abuse is universal it’s found everywhere in the world so although the book was set in Zimbabwe we decided to set the film in UK but maintain the message , said Karongah.The film features for the first time on screen inspirational speaker Glorianne Francis as (Betty’s father’s small house).Torro Entertainment’s Charles Guvamatanga as Betty’s father,Tinashe as young Betty and Demetria Karongah as Betty’s mother. “We hope to develop a feature script in future and make a biopic for this extraordinary lady”, said Rufaro Kaseke an acclaimed producer and cinematographer who wrote the screen play and directed the film.The film is also a co-production between The Zimbabwe Film Guild UK and Sahara Movies a production company co- owned by Karongah and Kaseke.